Gallia residents await the speaker in Gallipolis City Park in November 2016. GALLIPOLIS — U.S. Congressman Bill Johnson (R-Marietta) will serve as the Gallia Veterans Day keynote speaker and parade marshal. Johnson was born and raised on family farms. Johnson entered the U.S. Air Force in 1973, and retired as a lieutenant colonel after a distinguished military career of more than 26 years. In that time, he was awarded the honors of the Air Force Meritorious Service Medal, the Air Force Commendation Medal, and the National Defense Service Medal. As a director of the Air Force’s Chief Information Officer staff with the US Special Operations Command, Johnson was known to work with Secretary of Defense representatives as well as senior congressional staff and leaders within the US intelligence community. Following his retirement from military service, Johnson turned to creating and building high technology businesses and also served in the executive leadership team as chief information officer of a global manufacturing company. In 2010, Johnson was elected to his first term to represent the people of Ohio’s Sixth Congressional District, which covers much of eastern and southeastern Ohio. He was subsequently reelected in 2012, 2014 and 2016. He currently serves on the House Energy and Commerce Committee and the House Budget Committee. Additionally, he is a member of the House Shale Caucus. Johnson is also the author of the book entitled “Raising Fathers” in which he addresses the importance of fatherhood, and begins confronting the destructive social and cultural impacts caused by what he feels to be the staggering number of America’s children that are being raised in fatherless homes. Johnson and his wife LeeAnn, currently reside in Marietta with a son, Nathan. He is also the proud parent of three grown children and is a grandfather of six. 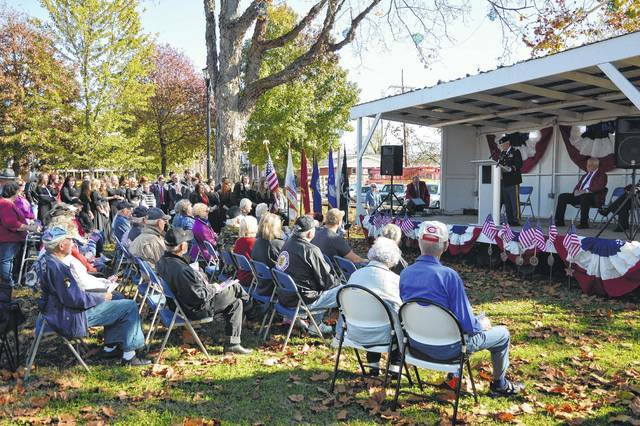 https://www.mydailytribune.com/wp-content/uploads/sites/42/2017/11/web1_stage.jpgGallia residents await the speaker in Gallipolis City Park in November 2016.